Many of us use the New Year to set resolutions and, as we all by now know too well, health – mental, physical, emotional, spiritual – is always at the top of the list. The following list of spas and wellness retreats of the Carolinas hit on each of these points, by offering everything from salt therapy to acupuncture, nutrition consultation, meditation, and detoxification. There are resort spas, day spas, and total retreat centers. Respira Vita Salt & Sauna: Respira Vita of Charlotte is family-owned and operated by two native Charlotteans, Amanda and David Rabon. Loosely translated from Italian, the name means “breathes life.” The Rabon’s have created an innovative luxury wellness spa that provides salt therapy, a full-spectrum infrared sauna, thermal massage beds, and reiki (energy therapy). With an emphasis on holistic wellness, Respira Vita Salt & Sauna is designed specifically to support physical, mental, emotional, and spiritual wellness. The Spa at The Sanctuary: Located on the beautiful island of Kiawah, the spa at The Sanctuary is not only set in an idyllic location but has also been inspired by the Southern hospitality that defines the area. The spa is full-service, offering clients everything from facials and body treatments to makeup, hair and nail care, private yoga or Pilates classes, and therapeutic massages. Using elements of the area, the spa incorporates botanical extracts, nourishing seaweed, mineral-rich mud and natural enzymes. To relax before the spa, there is a vitality mineral whirlpool, steam room and sauna, and afterwards, garden-inspired solariums to continue your rest. 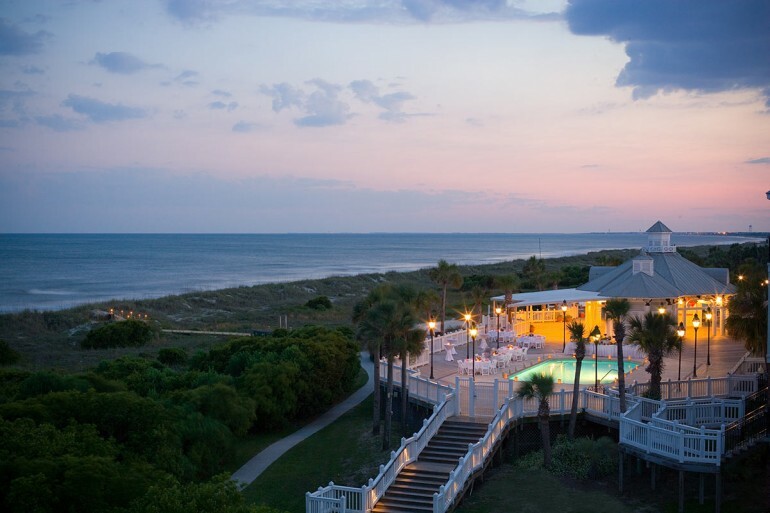 Sanderling Resort Spa: The Four-Diamond Sanderling Resort, located in the peaceful Outer Banks of North Carolina, offers an award-winning spa and salon with stunning views of Currituck Sound. The spa treatments were crafted with unique elements of the natural coastal resources to elevate the spa experience. Sanderling offers everything from massage to skin restoration treatments, a steam room, and a variety of facials. 21c Museum Hotel Spa: Named one of the Top 10 Best New Hotels by USA Today, this boutique hotel features an equally unique spa with massage, body treatments, and aromatherapy. The spa sits adjacent to the sauna, steam room, and fitness facility so you can treat yourself head-to-toe. The massage therapists are also available to treat clients in the comfort and privacy of their guest rooms at the hotel, so you can relax even further. 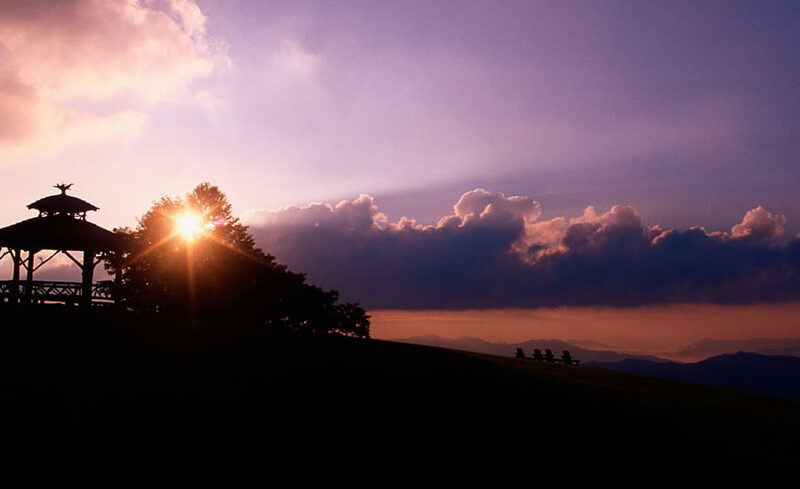 The Art of Living Retreat Center Spa: This Blue Ridge Mountain Retreat Center is a go-to destination for those seeking true mind/body relaxation. The spa accompanies the center itself, which emphasizes yoga, learning, and restoration. You can use the spa packages to combine a vacation with a total mind and body rejuvenation. The Ayurvedic Cleanse Package, for example, is a 5-8 day residential treatment program, built on personal assessment, that includes three spa treatments, Ayurvedic cleansing food, daily yoga and meditation, and professional support. The shorter Restart Weekend Cleanse spa package offers the same amenities, tailored to a quicker weekend visit. If you’re just looking for a day service at thespa, the Retreat Center offers several organic treatments, varieties of massage, facials, relaxation therapy, and breath support therapy, among other services. Spa Montage Palmetto Bluff: Like the rest of Montage Palmetto Bluff, the Cottage Spa is an all-amenities-included, totally luxurious experience. The relaxation room, with soft lighting and a crackling fireplace, prepares you for your services. 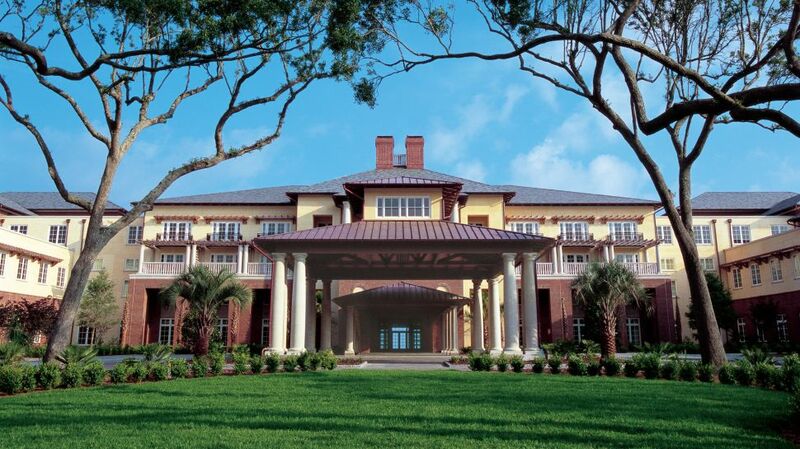 Once inside the spa, a marble white expanse, the many services are drawn from nature and the Palmetto Bluff environment to create an “indigenous spa experience.” They offer everything from a bio detox & anti-stress beauty treatment facial to warm river stone massage and a coastal Carolina body wrap. There is also a pool and sauna to relax in after your treatments. The Spa at Grandover Resort: Grandover is known as one of the most luxurious day spasin North Carolina. There is an extensive array of massage choices as well as facials, manicures, pedicures, and wax treatments. Each service offered at Grandover has been carefully tailored based on each clients’ particular needs, to help with relaxation, alleviating stress and pain, or treating your skin and muscles. There is also an adjacent fitness center, sauna, steam room, hot tub and swimming pool. Hot Springs Resort & Spa: This 100-acre resort in Hot Springs, North Carolina is a hidden gem. The health properties of the resort’s hot mineral waters have been put to use since 1778. The natural mineral baths can be used for treating a health problem or simply for rest and relaxation in the naturally hot waters. Benefits of soaking in mineral water include release of stress and fatigue from the mind and body, easing stiffness and pain of the muscles and joints, and helping increase circulation and oxygen flow. It is also known to help with support of many circulatory illnesses. Additionally, the Spa also offers massage therapy and specialty services like a botanical mud wrap, facials, and sugar scrubs. Island Retreat Spa & Salon: Tucked with a forest canopy on Bald Head Island, the Island Retreat Spa & Salon, part of the Bald Head Island Center for Wellness, will leave you feeling refreshed with a botanical facial, an invigorating massage or a restoring body treatment. You can also unwind by sipping mimosas on the scenic porch after visiting the salon, where they offer pedicures, manicures, and other beauty treatments. The Wellness Center itself offers a full variety of opportunities for mental, emotional, and spiritual health and growth. Shoji Spa & Lodge: Shoji Spa of Asheville is a luxury destination spa unlike any other in the Carolinas. Nestled in the mountains just minutes from downtown Asheville, Shoji offers traditional Japanese bathing and soaking, elegant slate showers, and private hot tubs in a natural wooded setting. There is a dry cedar sauna and an invigorating cold plunge for contrast therapy. Twenty-five world class massage therapists offer treatments and massage styles from deep tissue, to hot stones, Thai, Shiatsu, hands, and prenatal. They also offer reflexology and herbal body treatments. Hilton Head Health’s Indigo Spa: The spa and salon services at Indigo Spa have been specially crafted to extend the healthy living experience created by the resort. 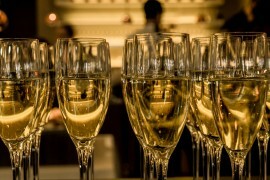 They offer a unique menu of services meant to meet every client’s needs. Designed as a tranquil escape,The Indigo offers a picturesque relaxation room and full service locker rooms while you prepare for your treatment. Once inside, they offer facials, massages, body treatments, makeup, and manicure and pedicure options. Wild Dunes Resort Sand & Sea Spa: The salon and spa services at Wild Dunes Resort combine a relaxed island ambiance with featured seasonal and locally-inspired spa services, like the Sugar Magnolia Facial and the Warm Seashell Massage. They also offer mud wraps and specialty manicure and pedicures. To support overall wellness, in addition to the spa, Wild Dunes offers a diverse group of programs from yoga, to fitness training and sports training, golf and tennis instruction, and even nutrition consultation. 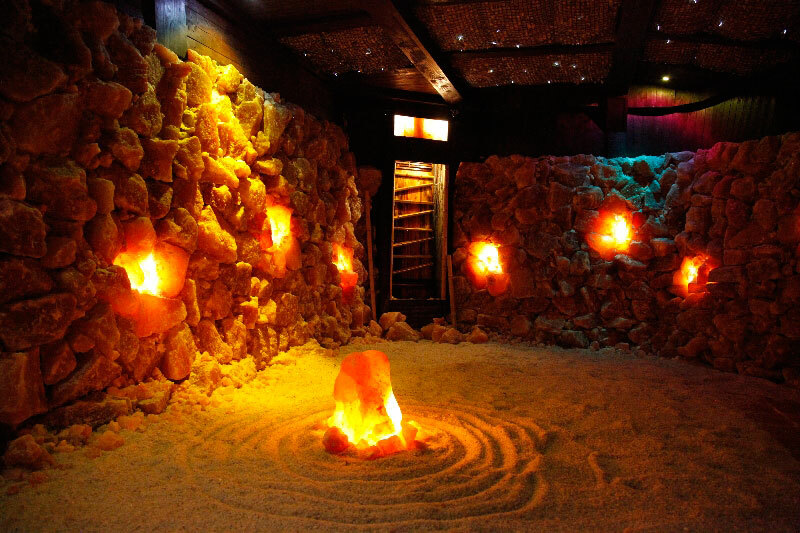 Asheville Salt Cave: This unique place of healing is the only Salt Therapy center in the U.S. that has been made entirely out of natural materials, like salt, wood and water. To spray the salt, the Asheville Salt Cave uses two natural ionizers which make it a virtual sterile environment that is sustainable and growing. As you relax in the softly-lit micro-climate, breathing the salt air helps restore balance and creates healing from ailments that range from respiratory and skin-related issues to depression, stress, and sleep problems. The staff will help you choose the spa therapy session that is right for your needs. Westglow Spa: The luxurious Westglow, just outside Blowing Rock, emphasizes holistic health in an upscale environment. They employ a variety of unique services to elevate the health and relaxation of spa clients. At the spa, they offer Vichy rain therapy, scrubs and mud wraps, lymphatic stimulation massage, acupuncture, and full salon services. In combination, they offer extensive wellness programs, from nutrition assessment and diet consultation to workshops and life-coaching. Canyon Spa: Overlooking Lonesome Valley’s 800 acres, the boutique Canyon Spa was created to promote wellness and total relaxation. Many of Canyon Spa’s handcrafted treatments use farm-fresh ingredients from the garden of Canyon Kitchen. Therapists use products enriched with antioxidants and other anti-aging ingredients. You can indulge in treatments like the Canyon Detox, meant to stimulate circulatory and lymphatic flow, the Farmhouse Massage, and integrated aromatherapy. The idyllic setting features a cozy fireplace and a sitting porch. Trinity Wellness Spa: This Beaufort, SC upscale wellness spa provides an extensive list of natural health, wellness and spa services, from detoxification and wellness programs to skin and body care services. The signature six-hour indulgent relaxation package features a Face Lift Facial, Aromatherapy Hot Stone Massage, reflexology, and a delicious spa cuisine lunch. They also offer wellness consultations, Ion Cleanse Detox, and sugaring. Haywood Park Hotel’s The Downtown Spa: Nestled in the heart of downtown Asheville, a group of women spa providers joined together to collectively offer spa and wellness services. There is a unique, trendy menu catered to create a total experience. You can enjoy the Sugar & Sangria treatment, the Farm-To-Table Facial with all local ingredients, or one of the spa packages like Organic Asheville, which uses local and organic products in the gemstone therapy, massage, and facial crafted to fully relax clients.